Most Exclusive Unit In Vita 2! Over 2000 Sw. Ft. Of Interior Space Plus A Private Terrace 1930 Sq Ft. 9 Ft Ceilings. Floor To Ceiling Glass. Miele Appliances. Amazing Corner Unit In Front Of Vita 2. Unobstructed Lakeviews And Views Of Toronto. 2 Bed Plus Den. Floor To Ceilings Glass. Last Townhome Left! 2 Bedrooms. 2.5 Bath. 2 Floors. Over 1500 S.Q. Of Living Space. 9 Ft. Ceilings. Do Not Miss Out! Prestigious Water Front Style Living. Approx 1003 Sqft + 352 Balc. Open Concept Layout, W/O To Wrap Around Balcony. Panoramic Views Of Lake. Floor To Ceiling Glass Windows .Hardwood Floor. Kitchen W/ Wood Cabinetry & Backsplash. B/I High End Appliances. Steps To Ttc, Mins To Gardiner Express, Short Commute To Downtown. Amenities Gym, Pool & More. Surrounded By Greenspace, Trails. NB. 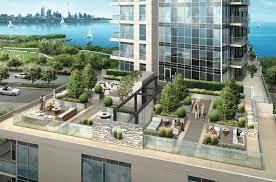 Ocean Clubs address is 2157 Lake Shore Blvd but the Condo is situated on Marine Parade Drive. A Luxury Waterfront Condo surrounded by trails, paths, dog parks and beautiful gardens. Ocean Club MLS Listings will detail the units for sale with maps , photos, Virtual tours etc. For more detailed info for example property taxes, Maintenance fees, Pet Restrictions, cost of parking spots for rent, Bicycle racks etc just give Kathy or Lauren a call 416-570-8405.